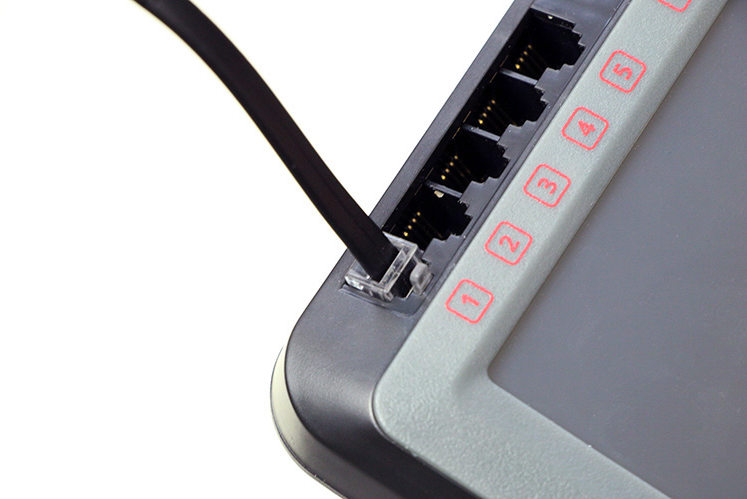 Plug the Smart Cable into a V5 Smart Port. 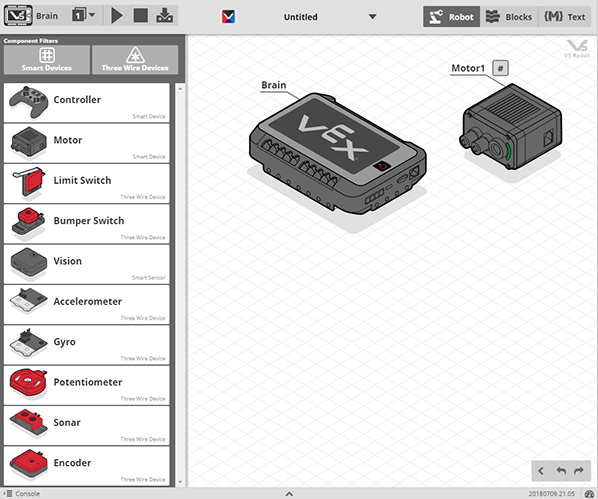 Drag the V5 Smart Motor from the frame on the left to the Robot configuration pane. 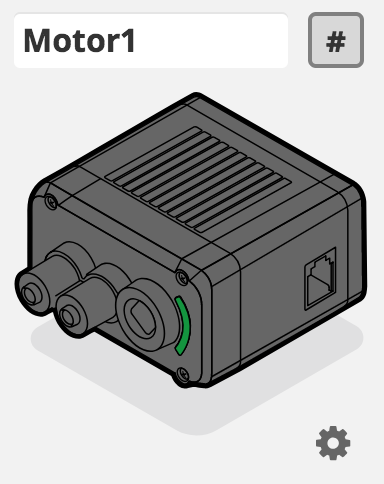 Click on the V5 Smart Motor, then click on the number to select a port. 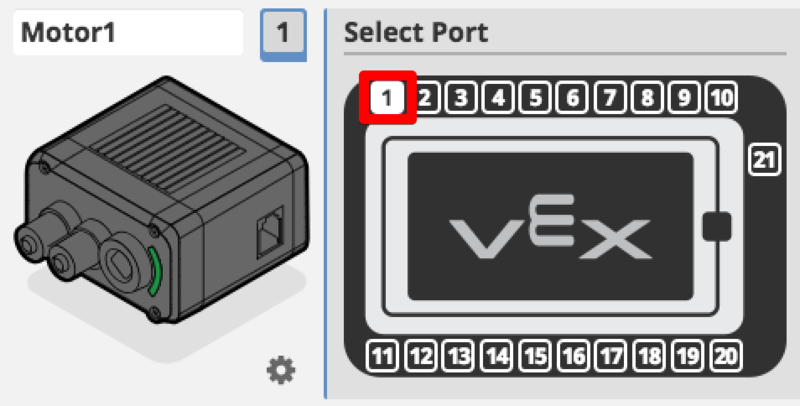 Designate the V5 Smart Port you wish to assign by clicking on the number on the V5 Robot Brain that appears next to the device. 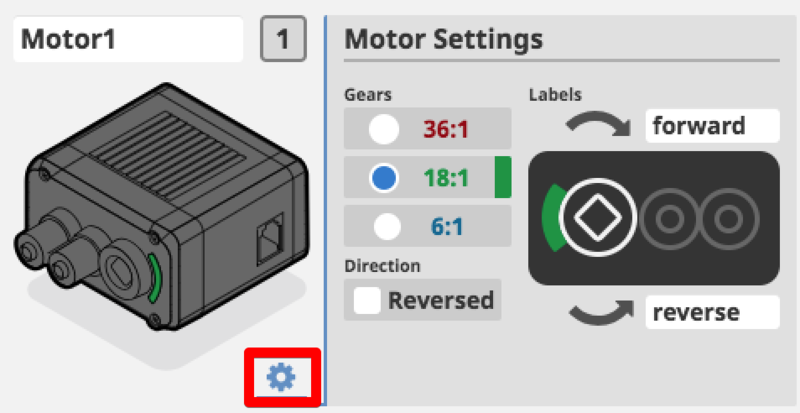 Click on the cog (gear) symbol to display Motor Settings. Click on one of the circular dots to select the correct color-coded gear ratio for the Planetary Gear Cartridge in your motor. 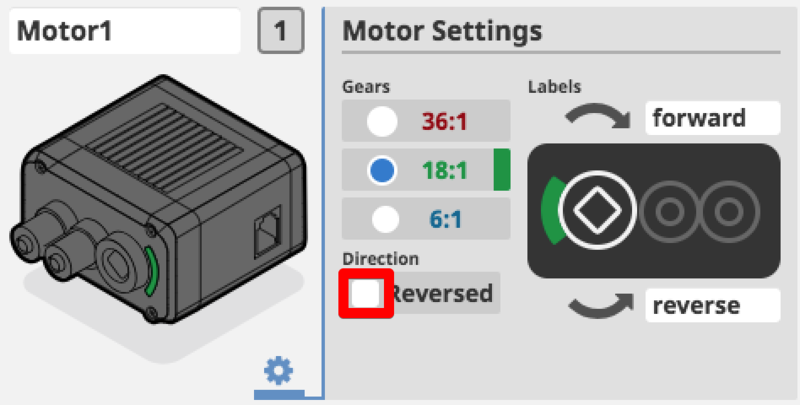 If necessary, click to check the Reversed box to reverse the default direction that the V5 Smart Motor spins in.